Palma (/ˈpɑːlmə/ or /ˈpɑːmə/, Catalan: [ˈpalmə], Spanish: [ˈpalma]) is the capital and largest city of the autonomous community of the Balearic Islands in Spain. It is situated on the south coast of Majorca on the Bay of Palma. 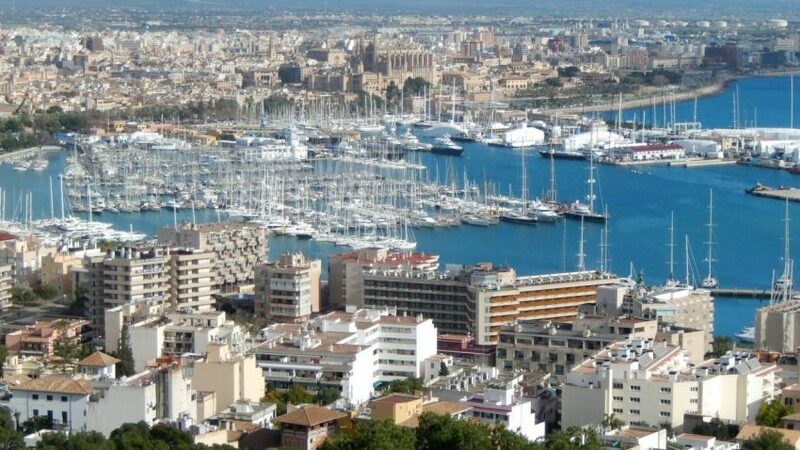 As of the 2009 census, the population of the city of Palma proper was 401,270, and the population of the entire urban area was 621,000, making it the twelfth largest urban area of Spain. Almost half of the total population of Majorca live in Palma. The Cabrera Archipelago, though widely separated from Palma proper, is administratively considered part of the municipality. Its airport, Son Sant Joan, serves over 22 million passengers each year. After the conquest of Majorca, the city was loosely incorporated into the province of Tarraconensis by 123 BC; the Romans founded two new cities: Palma on the south of the island, and Pollentia in the northeast – on the site of a Phoenician settlement. Whilst Pollentia acted as a port to Roman cities on the northwestern Mediterranean Sea, Palma was the port used for destinations in Africa, such as Carthage, and Hispania, such as Saguntum, Gades and Carthago Nova. Though present-day Palma has no significant remains from this period, occasional archaeological finds are made in city centre excavations.